All our products are made with care and attention. In order to keep them as beautiful as they are, please mind the following care instructions. If you have any specific question, please feel free to contact us! We are happy to be of service! No matter how careful you are, accidents happen. And rugs as beautiful as these ones deserve the best possible care when this happens. In case of heavy staining or transferred dirt, we advise you to always have your rug cleaned by a specialist. 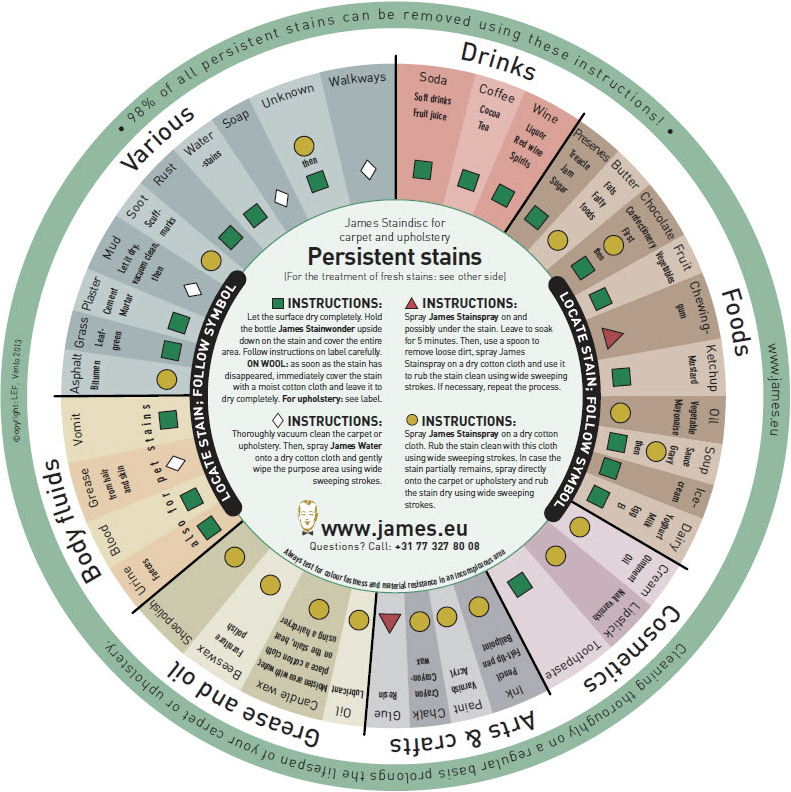 Light stains on Eucalyptus rugs and mohair or wool rugs can safely be treated with JAMES cleaning agents. JAMES Water, Stainwonder and Stainspray have been successfully tested on our Eucalyptus qualities. 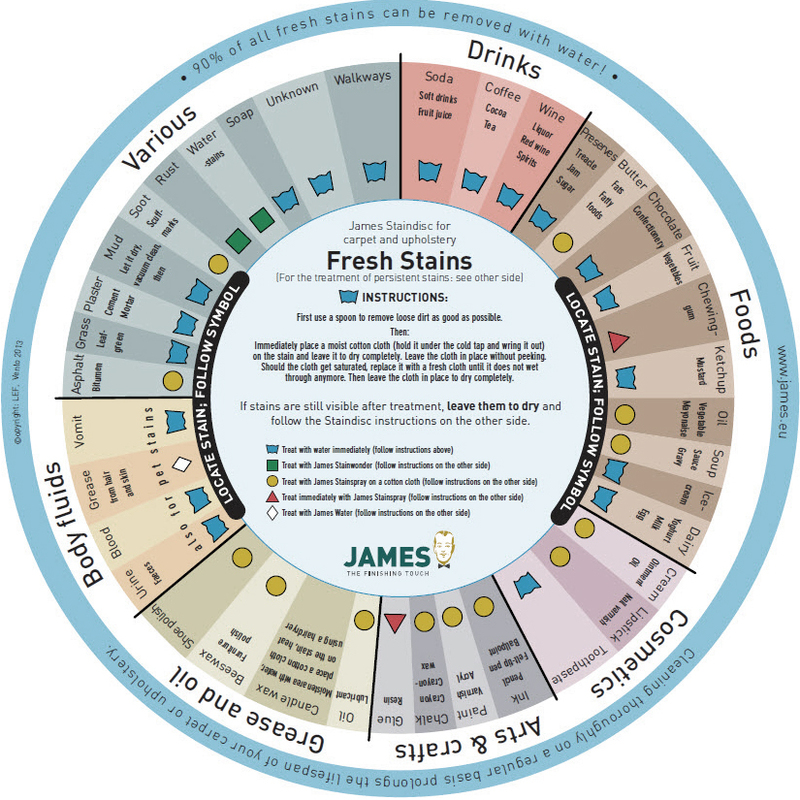 Information on what agent to use for which specific situation can be found in the JAMES staindiscs for fresh and persisent stains below. Are you interested in purchasing a JAMES starter set? Please get in touch with us! Whenever you are in doubt on how to proceed, or have questions on how to clean your Frankly Amsterdam rug, you can contact us at hello@frankly.amsterdam or +31 20 - 737 0818.